Tags: Black, Front Open, Semi Formal, sides down, White. White front open sides down gown having embroidered sherwani style neckline. 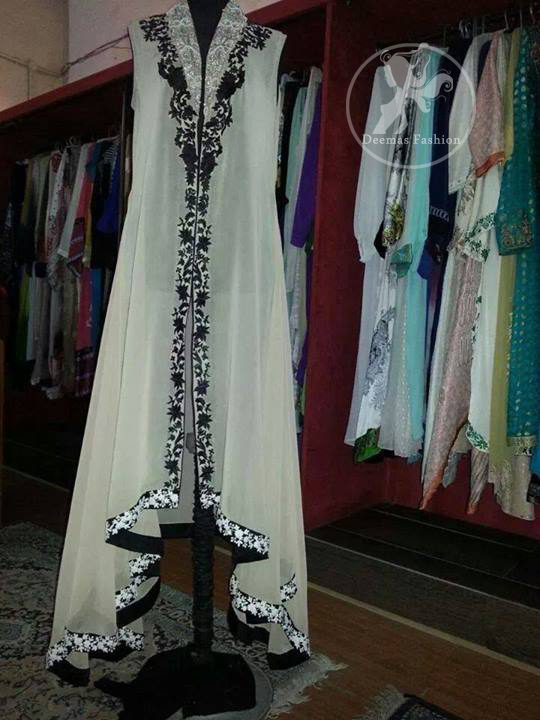 Re-sham embroidered border implemented throughout the front open slits.This dress comes with chiffon dupatta and raw silk trousers.